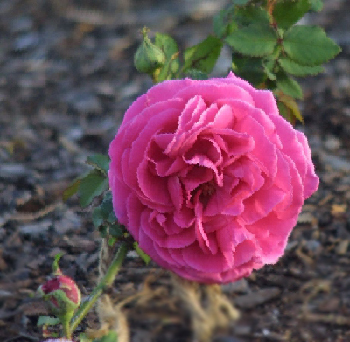 “Maggie” was found by Dr. William C. Welch in Louisiana and is named after his wife's grandmother, in whose garden he found. 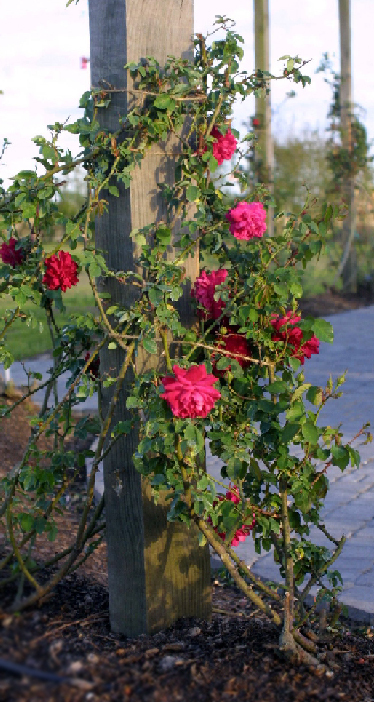 It can be trained as a short climber, or a very nice shrub rose. It flowers uncontrollably in the spring and fall! 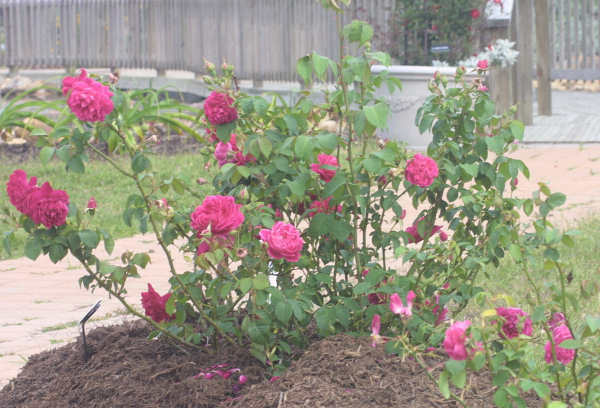 The blooms are very double, deep, dark pink, and the fragrance is enchanting. Left unpruned, the canes can reach 6'-7'.